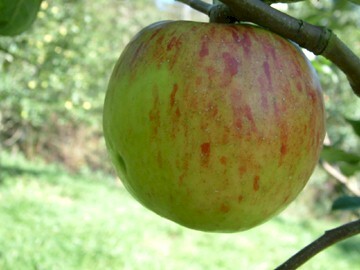 Originating in New York in the early 1800’s, Twenty Ounce is a very large, showy fruit and an excellent cooking apple. 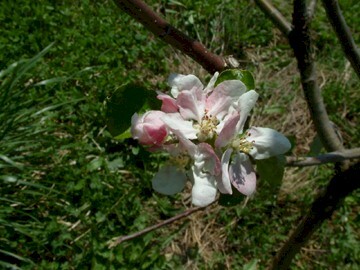 Cooks easily and makes a fine applesauce. Large, roundish fruit with a thick, tough greenish-yellow skin with stripes and splashes of carmine and deep red. The whitish-yellow flesh is coarse, tender and juicy. Ripens in September.